Steubenville is home to 18,000 residents and is known as “City of Murals”. There are numerous advertising opportunities throughout the city to allow you to effectively capture potential customers. Steubenville is home to more than 25 murals located downtown which draws in visitors every year. 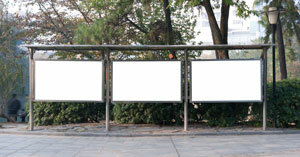 Utilize this high traffic by placing out-of-home advertisements in downtown. Target your audience with outdoor billboards or other outdoor advertisements near Franciscan University of Steubenville or Eastern Gateway Community College. The major highways that serve the city also provide billboard possibilities for high traffic exposure of your business.